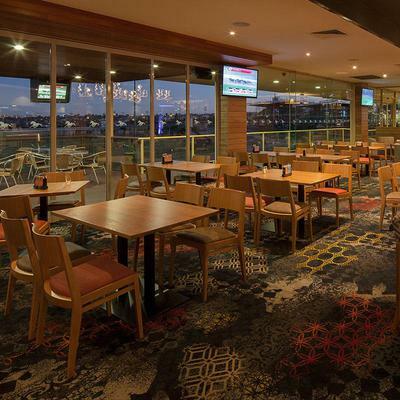 Moonee Valley Legends is Moonee Valley Racing Club’s multipurpose entertainment venue, located in the outer suburbs of Melbourne, Australia. 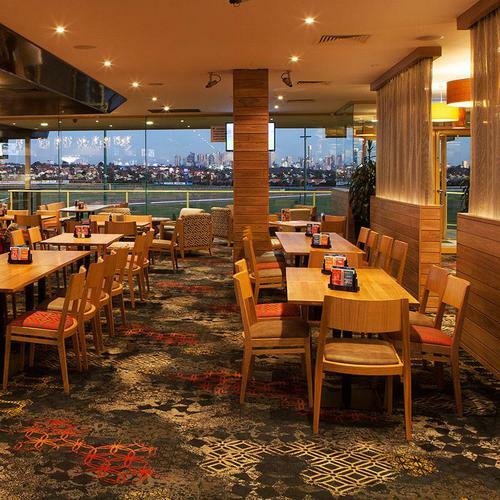 Holding an enviable position above the home turn, Legends offers guests spectacular views of Melbourne’s skyline and an uninterrupted panorama of the racecourse. 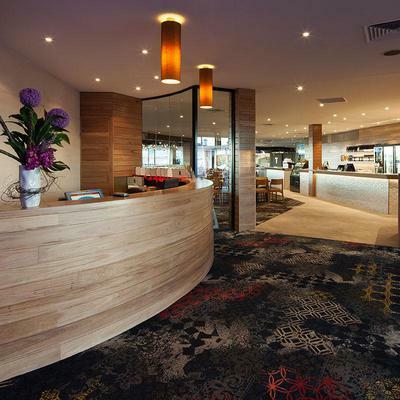 Round 6 Architects worked closely with the team at Legends to deliver a superb refurbishment of the venue, which was acknowledged with the 2014 Community Clubs Victoria award for ‘best refurbished club’. 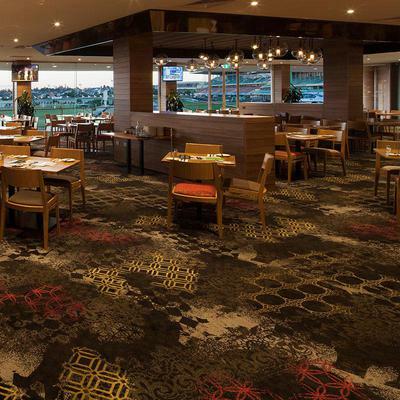 Brintons was privileged to work with Round 6 to create and manufacture 1,800 sqm of custom designed patterned Axminster carpets for the venue. The design brief for the refurbishment was centred on creating a warm, vibrant and sophisticated ambience for the interior. Particular consideration was given to the need to build cohesiveness between areas and improving flow throughout the venue. 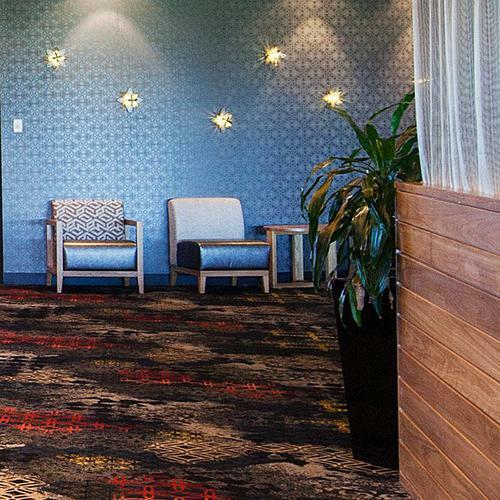 The flooring design played a major part in delivering this vision. Brintons worked together with Round 6 to develop a dramatic, statement pattern, which was used in four colourations throughout the venue. 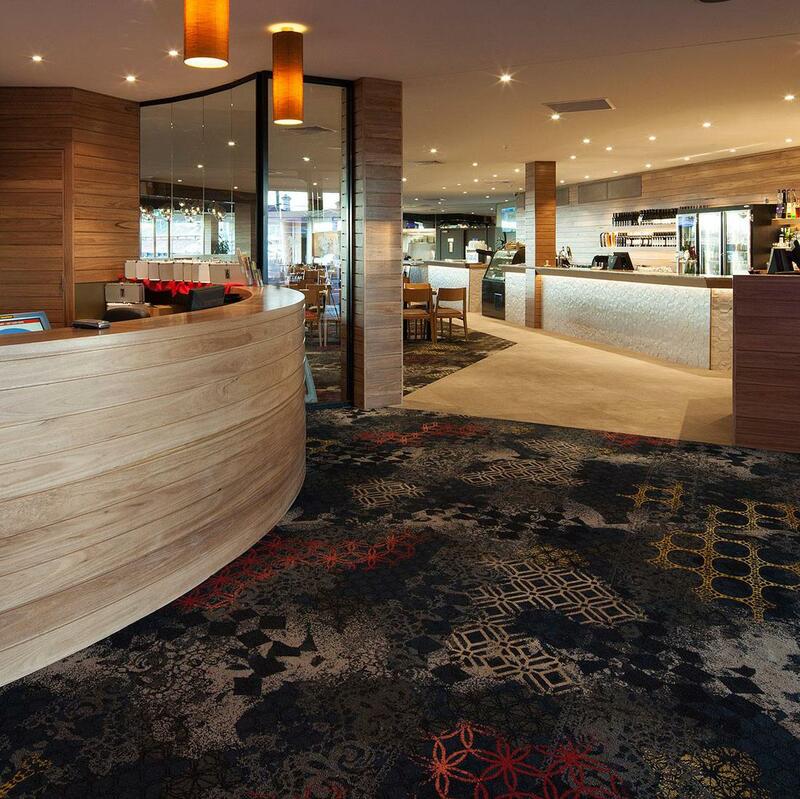 The carpet design was a layering of multiple textures and patterning - a stunning yet practical design for a venue with high footfall. 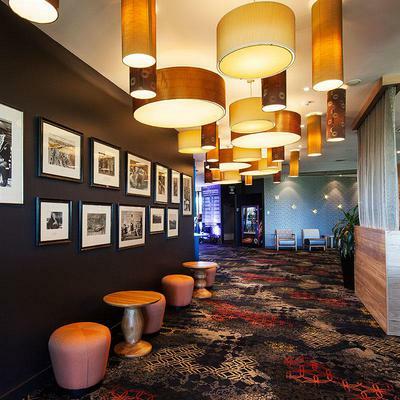 The different colourations were used in the bistro, coffee lounge, gaming room and sports lounge, to help improve zoning whilst ensuring harmony throughout the venue’s interior.